Lanzarote holidays bring you spectacular, unique landscapes and some of the best beaches in Spain’s Canary Islands. It’s close to the coast of north west Africa, bringing you year round sunshine and warm temperatures, which make it ideal for a holiday at any time of year. Families flock here for the child friendly resorts and hotels and large beaches which gently shelve into the waters. Couples will find tranquil hotels with excellent spas, restaurants, bars and more, while explorers can head into the island’s interiors for moonlike landscapes and volcanic mountains. Those wanting to explore Lanzarote’s culture and landscapes should book holidays in Puerto del Carmen. Here you’ll find volcanic mountains providing a beautiful backdrop to its golden beach and busy harbour. 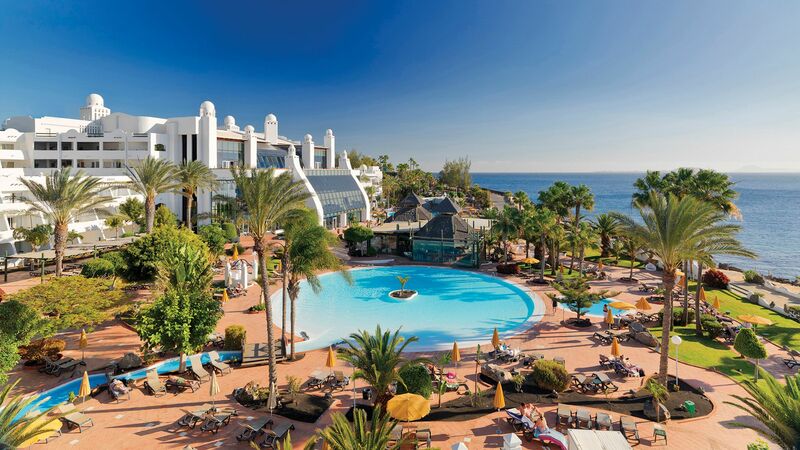 Playa Blanca is a lively resort with a soft sandy beach, and tropical gardens, as well as large hotel complexes with a host of amenities for guests of all ages. 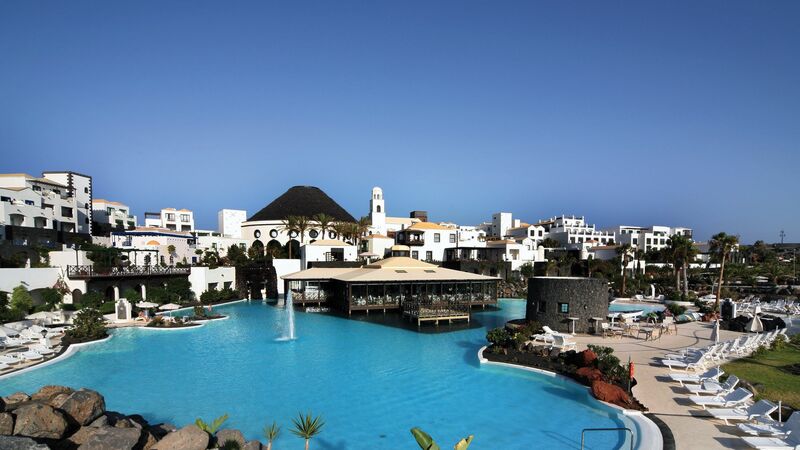 Lanzarote provides a balance of unique natural landscapes and large resorts boasting amenities and facilities galore. Spend your days exploring the volcanic interior landscapes or relaxing on the beach. The many tourists have brought a thriving scene full of spectacular restaurants and hotels, while there are also golf courses, boat trips, hiking, mountain biking and many more activities available. Those wanting to enjoy some retail therapy will find duty free shops and large shopping centres throughout the island. 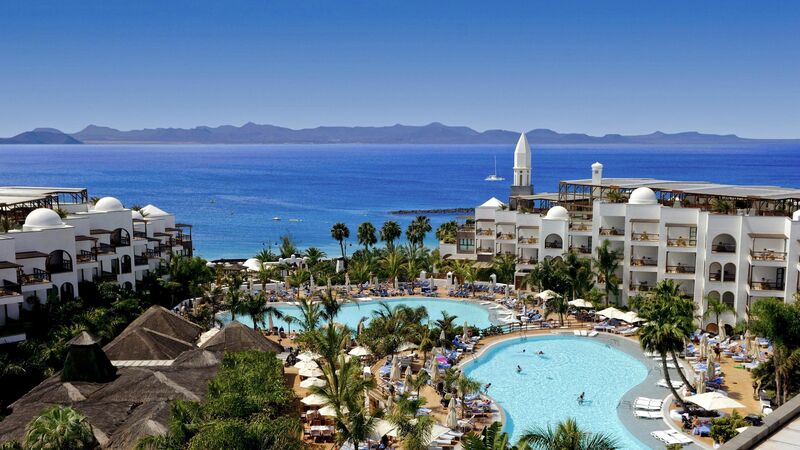 If you are looking for a family holiday in Lanzarote, look no further than the "Princesa Yaiza Suite Hotel Resort". With 15 restaurants, 5 kids clubs catering for all ages and a Thalasso Spa for the adults, this resort has it all. At Sovereign we’ve put together a list of the best hotels, with private beaches, extensive spa menus and exquisite dining available. Couples will love the many opportunities to relax, while families will find excellent amenities for guests of all ages as well. Speak to one of our Trusted Advisers today. Set against a backdrop of the beautiful Timanfaya National Park the golden beaches are ideal for some fun in the sun on family holidays in Lanzarote. The closest of the Canary Islands to the coast of Africa you're almost guaranteed warm weather and sunshine all year round. Playa Blanca relaxes along the south coast. It’s got the whole package – a sandy beach, palm garden hotels, prom-side restaurants, and a marina that launches day trips to Fuerteventura. 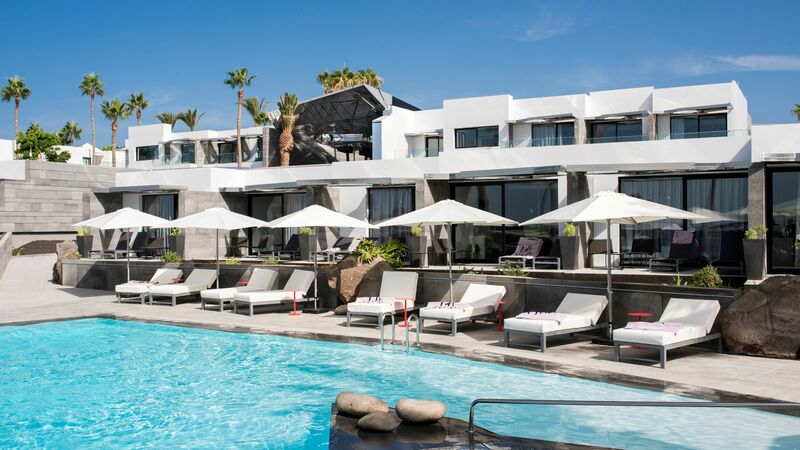 You’ll glimpse all sides of Lanzarote in southerly Puerto del Carmen. It’s got three beaches, an old town with a working harbour, and a backcountry of volcanic craters. This postcard-pretty spot has twice been named Spain's loveliest village. Wander around and you'll find a tree-lined main square, a 17th-century church, and a clutch of traditional tapas bars. The Fire Mountains - craters of 100-odd volcanoes - form the centrepiece of Timanfaya National Park. The temperature just below the surface can still reach a scorching 600 degrees, and chefs at the Manrique-designed El Diablo restaurant take full advantage of this. Instead of using ovens, they'll grill up your lunch using the geothermal heat. Built back in 1968, Cesar Manrique's house is as unique as his artworks, using volcanic bubbles and caves for the main rooms. The art gallery here is also worth a look - as well as creations by Manrique, you'll find works from Pablo Picasso and Joan Miró. One of my favourite things to do here is driving up to Timanfaya National Park and stopping at special view points along the way for great photo opportunities. You can enjoy a delicious dinner at the restaurant El Diablo, where they cook from the volcano-heated barbecue, while listening to live Canarian music and watching the sun set. Like much of Spanish and Canarian cuisine, Lanzarote’s staple dishes are created using basic ingredients produced by its land. The island’s volcanic soil and near-perfect climate certainly help here, with an abundance of fresh fruit and vegetables. Seafood is ubiquitous; sea bream, sea bass and vieja (parrotfish) are the most common, and are usually served grilled. Lanzarote also loves its stews; rabbit stew (conejo) is a local delicacy. Flight time from the UK to Lanzarote is around 4 hours 15 minutes. Summers in Lanzarote are warm and dry, rarely falling below 25°C. A reliable beach destination all year round, the Canaries boast some the warmest winters around (temperatures tend to stick to the late teens), with lovely mild springs and autumns. Where are the best places to taste the local wine? There are numerous vineyards, so finding an option for wine tasting is easy. Lanzarote has 13 vineyards (known locally as bodegas), covering 5,000 acres of the island. The vines are protected from the harsh canary winds by being planted in hollows, meaning the vineyards are a particularly unusual sight.